Clarks Exotica is located away from the hustle and bustle of the city. Snuggled amidst 50 acres of sprawling land, Clarks Exotica is one of the most luxurious hotels of the city. 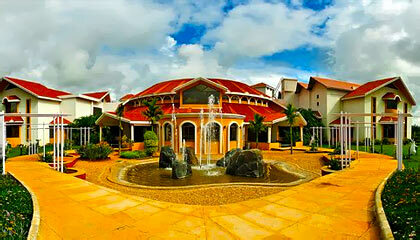 The hotel is an ideal amalgamation of contemporary living and traditional Indian hospitality. 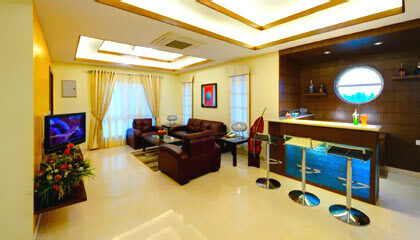 Encircled with panoramic splendor from all sides, it creates a perfect ambiance for a memorable stay in Bangalore. 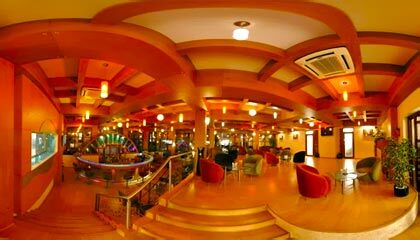 The hotel features an outstanding architecture with fabulous decor that certainly draws attention of the visitors. 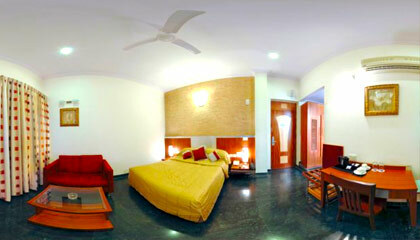 Rooms of the hotel are the oasis of comforts & lavishness, which are prepared with plush amenities. Prioritizing the satisfaction of the guests, the hotel takes every initiative to fulfill their requirements. From business event to social gathering, everything at the hotel turns to be a celebration. 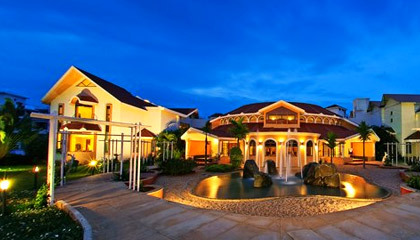 To have a truly unforgettable stay in the Garden City, Clarks Exotica is, indeed, a superb option. 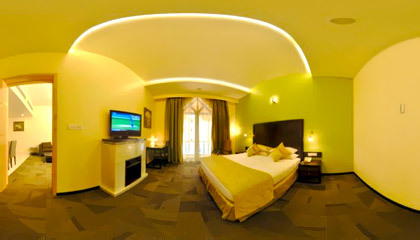 The hotel offers 132 stylishly furnished & well-appointed rooms, categorized as Deluxe Premier Rooms, Executive Premier Rooms, Junior Suites and Presidential Suite. All rooms & suites are prepared with up to date services offering relaxing atmosphere. 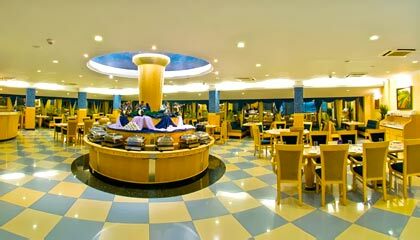 Blue Alps: A fine restaurant serving an array of delectable cuisines. Illusion: A chic bar offering a range of cocktails and mocktails.